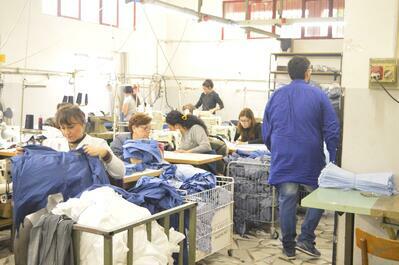 Who Will Manufacture Your Clothing Line? The list is only 10 tasks deep, but each can take days to months to fulfill – particularly the research components. While the market analysis will be fairly straightforward (you determine whether your line will or won’t sell), the factory research can get overwhelming fast. Thousands of clothing manufacturers operate in the U.S. and abroad, and each has its own minimum order quantity, specialty, and expected sampling and production timeline. How Should You Get Your Clothing Designs Made? Does this manufacturer have a good reputation? There are some factories that will manufacture additional copies of your product to sell to their other customers at a lower cost. Avoid manufacturers that put your intellectual property – and your profits – at risk. Does this manufacturer return your calls and emails in a timely manner, or do they leave you on ‘Read’? You’ll want clear, honest updates about your line’s progress throughout sampling and production. Does your manufacturer have a minimum order quantity that matches your needs, or will you wind up with shelves of overstock? Does your manufacturer align with your brand's values whether that be fashion sustainability, ethical workplace conditions, or high quality fabrics? Does your manufacturer specialize in the products you’d like made? You have only one relationship to manage and can minimize your points of contact. This can help reduce the confusion that comes from many projects being spread across multiple vendors. One manufacturer and one relationship means one invoice. Your billing department will love you! Especially once tax season begins. You’ll build a strong relationship with your one clothing manufacturer, without having to worry about figuring out how other factories work. Your solo manufacturer might change costs on you suddenly and without much explanation. If they manufacture your entire line, they may have you at their mercy while you conduct your entire garment manufacturer research operation all over again. While the manufacturer might have significant experience producing part of your line, adding a product that they are not familiar with might generate work that differs in quality. It also may mean that your manufacturer will need to hire new labor or purchase different machines to accommodate your new product requests, passing those costs onto you. Working with a variety of manufacturers means that you’re balancing your risk. If one suddenly decides to upcharge you, or you discover that one is selling your custom products to competing designers, you can terminate that relationship and move your manufacturing to another partner without putting your entire operation on hold. Having multiple manufacturers means that you can make sure each factory comes equipped with the tools, labor, and expertise to assemble your product, without adding extra overhead. You’ll gain the experience of learning how a variety of different manufacturers work. Down the line, this will help you decide which of your manufacturing partners you enjoy working with and which you do not. Finding multiple manufacturing partners takes more research. You’ll have more relationships to manage, which means more invoices to handle and potentially more time spent building relationships with your points of contact and figuring out how they run their factories. 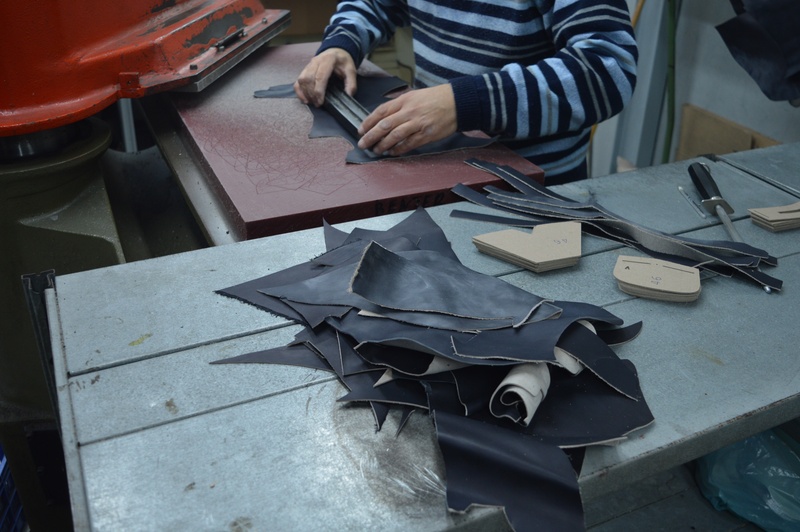 All Italian factories and artisans in the MakersValley network have received rigorous, advance quality checks by the MakersValley team. They have agreed to adhere to a rigid standard of ethical operations, and have reputations of quality and the work to back it up. Each manufacturer bids to create your clothing line by project, so each item in your line will be created by a factory or artisan who has the tools and expertise to best craft your product. Receiving bids by project (or product), also means that you’ll receive the best deal for each piece of your private label clothing line. While you may undertake any number of projects with any number of Italian shoe or clothing manufacturers in the MakersValley network, designers manage all sampling, production, garment feedback, shipping, customs fees, and invoices through the MakersValley Platform, through one dedicated Account Manager who acts as a sort of virtual assistant for you to make sure the process runs smoothly. It’s easy to stay up to date with the progress of your project because your manufacturer will send you text, image, and/or video updates on product sampling and production, through the Platform. What questions do you have about manufacturing your private label? Let us know! Reach out to us on Facebook, Instagram, or Twitter.